There seems to be a growing backlash against commenting on blogs, but is it justified? Before I begin let me make it clear that I have no problem with sites that choose not to have comments. Not every blog wants to be a community, some are simply broadcasting the authors ideas and that is fine. My problem is with the growing number of sites that have had comments and then closed them blaming the quality of conversation, trolls and spammers. The keyword for me here is community. 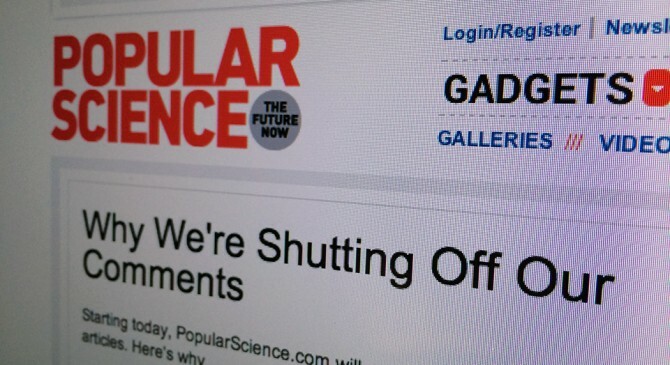 Popular Science sees its role as fostering the scientific community. This is a noble goal, but you cannot foster a community without actively engaging it and (even more importantly) allowing members of that community to engage with one another. The trouble is that this cannot be achieved purely with some magic commenting technology. It takes time, effort and management. Too many organisations have heard about the benefits of nurturing a community, turned on comments and then walked away without taking responsibility for what happens next. Too many organisations have heard about the benefits of nurturing a community, turned on comments and then walked away without taking responsibility for what happens next. For commenting to work you need to put serious investment into it. You need to nurture your community, foster conversations, lay down ground rules, moderate inappropriate comments and nip conflict in the bud. 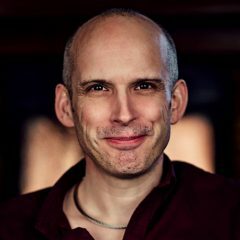 It’s not easy, its not quick and as I explain in my post “7 harsh truths about running online communities” it is not for everybody. I have no issue with people deciding it’s not for them. Just don’t do what Popular Science did and claim the reason is that comments damage your community or that you are in someway a victim. Yes, you will get spam, yes you will get trolls, but you will get that with any interaction online. I can understand you not wanting to deal with that, but you are never going to be able to entirely escape abuse. If they can’t attack you via comments they will do so via twitter, email, or Facebook. Popular Science are claiming that commenting is damaging the scientific community. To my mind Popular Science should have been honest. They should have said they have closed comments because they had lost control of their community and don’t have the time, manpower or desire to wrestle control back. I could have respected that. One final point and this is an entirely personal one that I don’t expect others to share. For me, closing comments because of the few idiots would seem like abandoning the very spirit of the web. For me the web is about intelligent, informed dialogue and I don’t want to lose the amazing comments of the community here because of the stupid behaviour of a few.